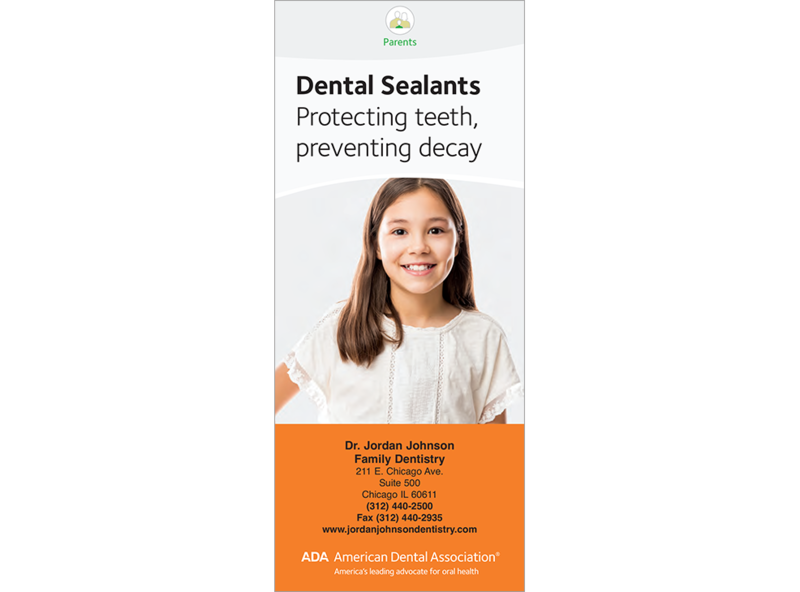 Explain the important role of sealants in your cavity prevention program. Our revised brochure shows how sealants work and how they are applied. The sealant photos and time-tested “toothbrush bristle and groove” photo further illustrate the point. Includes additional tips for preventing caries with home care and regular dental visits. 6 panel brochure. Minimum order 150. Click Add to Cart then personalize for free. Now you can add personalized information on the front, back, or both covers on all brochures.